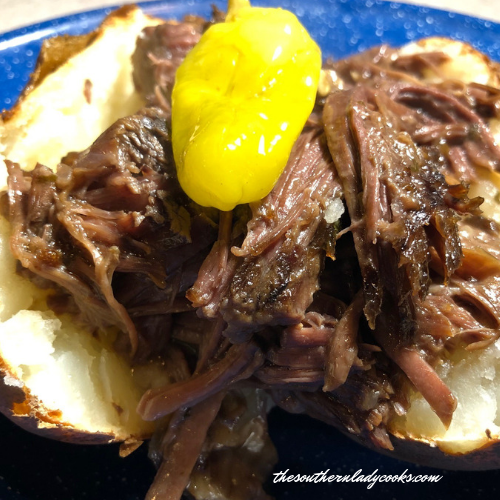 Slow cooker country style ribs are so easy and always a hit. This slow cooker method for making country style ribs is so easy. If you like ribs, you will love this recipe! Put this recipe on your menu, it’s definitely a keeper. Place ribs in slow cooker. In a bowl mix all the other ingredients together and pour over ribs. Cook on high for 4 hrs. or low for 6 to 7 hours until ribs are tender. Place ribs on a platter and spoon on remainder of sauce. Enjoy! Note: You can also do these ribs in the oven. Just place in casserole dish, pour sauce over ribs and bake for 45 minutes to an hour at 375 degrees until ribs are tender. This is an easy recipe that is delicious. If you like ribs, you'll want to keep this recipe. Place ribs in slow cooker. In a bowl mix all the other ingredients together and pour over ribs. Cook on high for 4 hrs. or low for 6 to 7 hours until ribs are tender. Place ribs on a platter and spoon on remainder of sauce. You can also do these ribs in the oven. Just place in casserole dish, pour sauce over ribs and bake for 45 minutes to an hour at 375 degrees until ribs are tender. You may also like our easy crock pot bbq ribs that are only 5 ingredients! Also, did you know that we have over 1000 recipes? Here are some of our most popular. Don’t Forget to Pin our Slow Cooker Country Style Ribs! There is a print icon under every recipe, Ernest. If you click on it, you can remove the photo and any text you don’t want and print only the recipe. We are diabetic. Is there a substitute for the molasses or a good sugar-free BBQ sauce? Love BBQ ribs but the sauce is a too much for us. Sorry, Kate, I don’t know of a substitute. You might try googling your question. If I make these in the oven (I’m odd in that I’m not a huge fan of meat in the slow cooker) should I cover the dish with foil? Yes, I would cover it, Kate. Smoked ribs for Memorial Day so bought them at Costco last week. I thought the package had 2 racks in it, but turned out to be 3! Since it’s just my wife and me we can’t even make it through 1 rack of these HUGE racks. So I vacuum packed 2 of them for the freezer. I now know what I’m going to do with one of those racks. Thanks for this recipe. 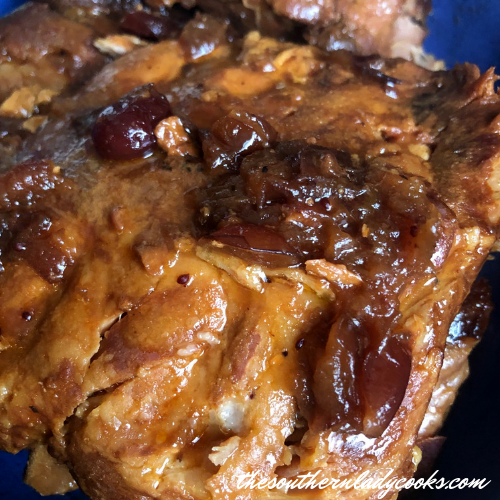 I used country bone-in pork chops, instead of ribs..I altered some ingredients – since I had to use what I had on hand (Creole Seasoning, no molasses) & doubled the ingredients (to taste) since I was making more meat. I also used a couple dashes of mesquite Liquid Smoke, set it for 6 hours in the crockpot and it was delish!! Very pleased 🙂 TY! Love the idea of the liquid smoke. I’ll definitely add that. Thanks for the suggestion. I am loving your recipes! I used to collect regional cookbooks when traveling in the south. I now have so many more reasons to bring out the wooden spoons. Thank you for sharing. Might give it a try with beef short ribs, also. Judy, these look fabulous! I think I’m going to prepare these for my family this week. Love a good country style pork ribs recipe! Thanks! We usually don’t eat ribs but I just may have to try this recipe! It looks delicious. thanks for the oven alternative! i thought I was going to have to buy a slow cooker.